From Abby: The Fourth of July is nearly upon us and so that means it’s time to discuss Captain America because it’s his birthday. In the late 1930s and early 1940s there were plenty of Star-Spangled heroes running around in comics, but we don’t hear much about American Ace or Mr. America these days. 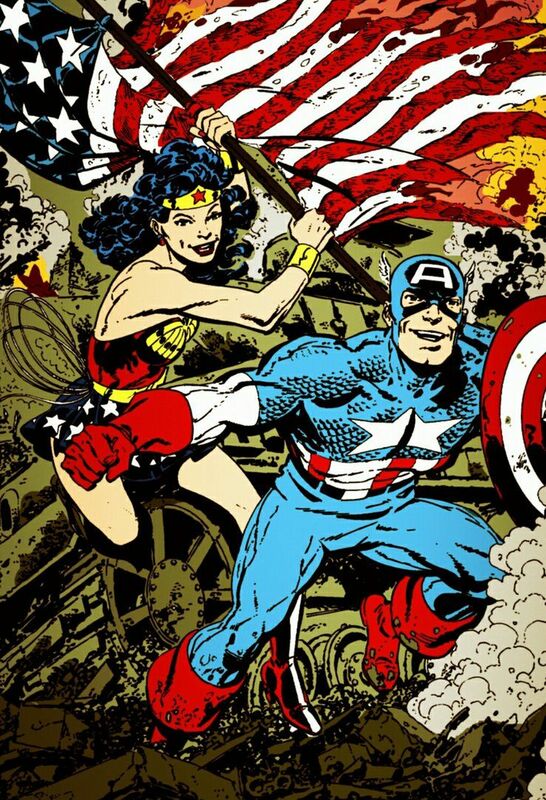 And sure, there are comic superheroes that are still around from then and are still very popular, but the fact that Captain America has survived and remained popular is genuinely surprising given how most World War II themed superheroes diminished or flatly disappeared after 1945. Captain America is one of the few that didn’t have a new character take over the same mantle when reintroduced, whose storyline didn’t abandon or retcon his war time origins and history, and lastly remained visually obvious as an American-centric superhero. For a long time, analysis and assumptions of Captain America as a character focused solely on his function as a propaganda tool in a nationalist context. And I think that presumption is still common given that there is much about Captain America metaphorically that is as subtle as a sledgehammer. His birthday, his costume, his origin(s) and creation. And yet, the most memorable narratives and moments in his character history is when he is at odds with national policy or official stances at the time. The character exhibits the struggle between fierce patriotism and blind nationalism – these storylines highlight how even though those two concepts are conflated, they are distinctly different and at many times at odds with each other. Another key aspect of the character that makes him still poignant is that he is a man out of time, thrust into a future after being frozen by ice for 20-70 years…depending on which version of the character you are reading or watching. While he is easily can be viewed as an embodiment of nostalgia, we are also forced to recon with our assumptions and idealism associated with it as Captain America does in particular plot lines. 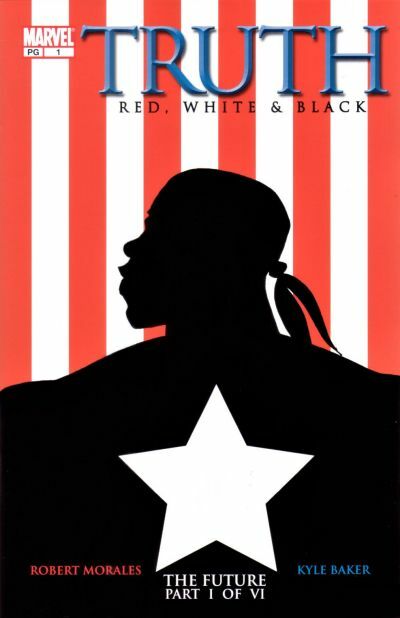 We see these in storylines like Winter Soldier, anything involving William Burnside from Cap’s retconned 1950s past, and of course the Truth: Red, White and Black with Isiah Bradley. Coming to terms with the notion that the past hasn’t been always better just because you feel alienated the present, but rather accepting that the past was a lot worse in many ways or the problems were simply different but no better. Usually the moral is not to wish everyone could be like it once was because that’s a lie – rather focus on making things better within the means you can because it’s the right thing to do. From Mav: Obviously, Abby makes some excellent points. 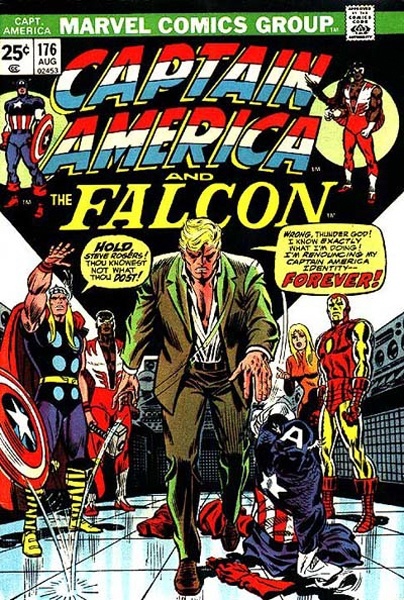 I was actually a huge Captain America comics fan growing up, in large part because I was a fan of the writing of Mark Gruenwald who wrote the title for ten straight years (1985-1995) and had a lot to do with the early revitalization of what the character is. 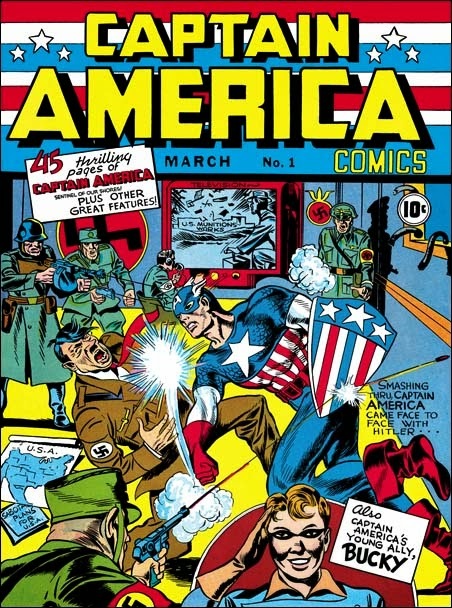 For me, the fascinating thing about Cap is that he is specifically designed as an avatar of the American idea from a very specific moment in time, WWII. But since American ideology changes so fundamentally over time, and the modern Cap’s origin specifically entails him being drawn out of time and existing as a relic of a bygone era, he always presents an opportunity to sort of question current ideology in the face presumed 1940’s “Greatest Generation” ideals. 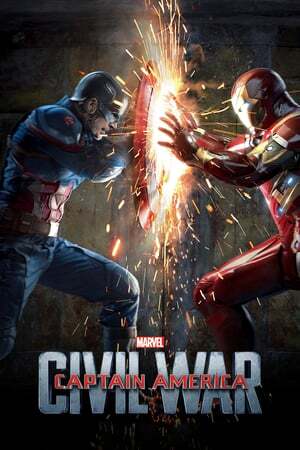 I’m thinking specifically of stories like the original Secret Empire saga (a 1973 reaction to the Watergate scandal), The Scourge of the Underworld and The Captain sagas (mid 1980s Cap positioned in opposition to the grim and gritty superhero revolution that arose as a response to the Reagan era) and more recently Civil War (both the 2006 comic and the 2016 film, which explore identity politics and personal liberty vs. governmental protection in post-9/11 America). I say “presumed” ideals because I also find it fascinating how Cap, as a man out of time is portrayed in these more modern stories. Cap’s persona as typically written is not very representative of what you would actually expect from a man who stepped out of from 1945 and into the [insert current decade here] with no intervening chance for personal growth or ideological evolution. This is quite evident in on mom my favorite Cap stories ever, The Truth (which Abby mentioned above), where Cap is abhorred to learn, in 2003 about deadly secret experiments performed on African American soldiers to perfect the superhero serum during the war (a fictionalized account of the real-life Tuskegee syphilis experiments). 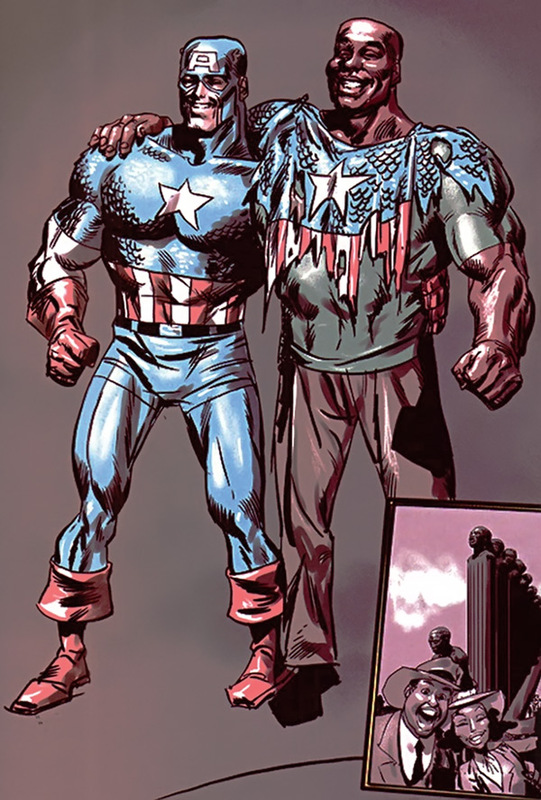 Modern Cap is always presented as a bastion of equality and fairness (the way we like pretend the real life Founding Fathers were) when in reality, as an ideal white American soldier raised in the 1930s, he should be fairly racist and sexist by modern standards. And in fact, in the original Simon and Kirby comics, he basically was. He was progressive for the era, specifically because he was invented as essentially Simon and Kirby, two young Jewish men, daring the US to enter the war, but by modern sensibilities, his actions tend to be misogynist, racist and often nationalistic to the point of fascism. Modern stories that depict Cap in that time, generally whitewash his portrayal to present him as a progressively altruistic in a way that would make him a century before our time. As we talked about on the nostalgia show, he’s essentially an emblem of how we like to remember the past, not how it really was. This has the curious effect of making him sort of a blank slate of the “idea” of Americana, that allows him to be claimed as a hero for whatever political version of what America means that the reader subscribes to. Something I’m quite certain Wayne will want to talk more about. I’m also hoping we’ll also get a bit into the idea of how other patriotic characters have been presented over time that Abby alluded to at the beginning. Obviously Cap, as well as the lesser known ones she mentioned (and I’d throw in Fighting American and the Shield), but also the better known ones like Wonder Woman, more militaristic ones like Sgt. Fury and Sgt. Rock, and even the later deconstructions of them like Watchmen‘s Comedian. I’m wondering why they seem to be set to more specific versions of the ideology than Cap does. Wonder Woman, for instance, is so staunchly tied to the idea of feminism that it’s hard to think of her as conservative. The Comedian is so jingoistically nationalist that he can’t be seen as liberal. From Abby: So tell us if there are any American-centric themed superheroes that you can recall of that we aren’t giving due in a Fourth of July. Are there any particular Fourth of July centric comic stories that have stuck in your memory? Who are the particular writers or eras that you feel capture the best essence of who Captain America is or are your favorites? 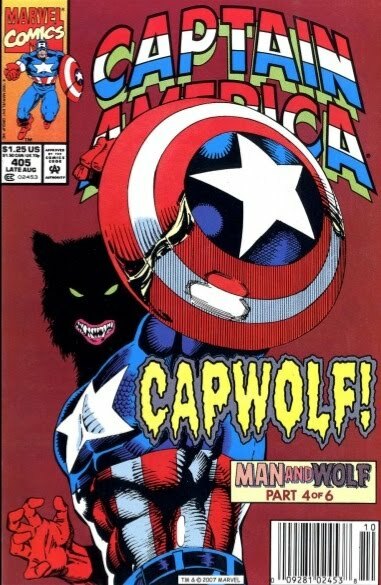 Or let us know if the cultural and propagandist implications of the character sound very boring and we all should at least discuss why the Captain America werewolf storyline(s) are under-rated and unloved.